Nothing’s safe from inflation it seems. With time, even that bumper Australian snow dump you enjoyed 5, 10 or 15 years ago is a victim of it. What was a 25-30cm storm at the time is now fondly recollected at family dinners, in the rental shop and on the chairlift as a 50+cm dump. We’re all guilty of it. Boot deep turns become shin deep turns which turn into knee and thigh deep ones, heck, in 50 years when there mightn’t be any snow left, that shin deep day might as well have been overhead blower. As we approach the 2018 Australian ski season at a rapid pace, there’s no doubt we’re all wondering if and when we can look forward to similarly deep days this year. Until then I thought I’d go a step further than romanticisation and attempt to set the record straight and chronicle all the best snowfalls Australia’s ever seen, as accurately as possible (sans inflation and so far as recorded history permits). Quantifying and then ranking the best seasons as a whole is relatively easy these days, thanks to the likes of The Snowy Hydro, which keeps records of annual snow depths. However, determining the best single instances of snowfall – hereafter referred to as dumps, storms and blizzards (of Oz’s) – is a much more difficult task. Taking a fairly flexible approach in saying where one snowfall, or rather snow system, begins and ends and understanding that different resorts will inevitably record very different numbers of accumulation, here’s what we’re left with when the dust snow settled. In the interests of fair reporting, my sources, short of a conclusive database, included our Mountainwatch archives, the Snowy Hydro’s aforementioned data, decades of old news bulletins and snow reports, a veritable menagerie of anecdotal evidence from snow forums and the musings of some long-term industry experts. Although not a perfect example of scientific and historical method, here’s as good a list as you’ll ever get on Australia’s biggest snowfalls. Why not start with the fateful storm everyone surely still remembers. That’s right, I’m talking the Blizzard of Oz trilogy. It seems while all storms are memorable, depending especially on whether you were there or not, the fact this one had such a catchy nickname helped it capture the minds of Australia over. 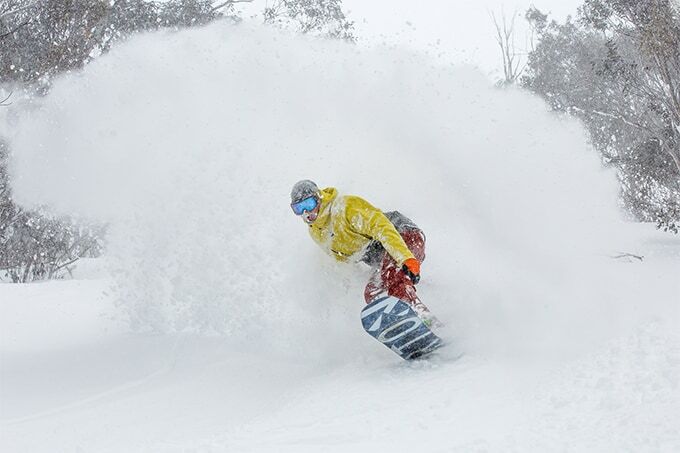 The first iteration, the original Blizzard of Oz dropped over 1 metre of snow across resorts. You can check out our full recap of Blizzard of Oz 1.0 here. You can check out our full recap of Blizzard of Oz 2.0 here. The final instalment of the Blizzard of Oz turned out to be the best storm of the season. 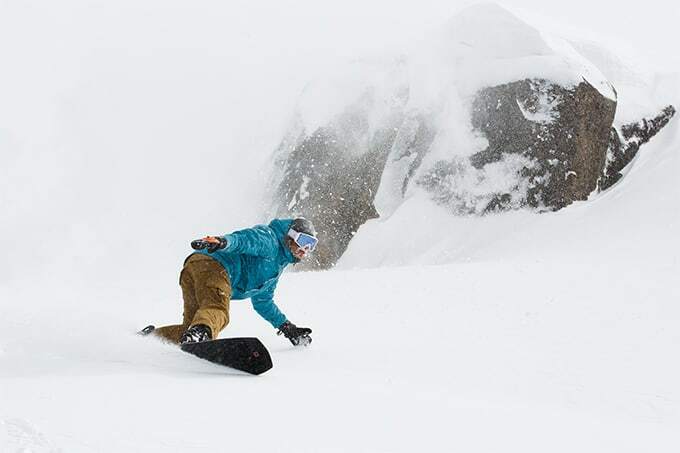 When all was said and done, the storm delivered up to 1.2 metres of snow across the countries ski fields in 72 hours. You can check out our full recap of Blizzard of Oz 3.0 here. Snowmageddon aka Snownado, Megablizzard and Snowpocalypse (News Corp Journo’s really went to town on this one) left around 120cm at the top of Perisher and Thredbo. A week earlier and there was no snow in Australia. In fact, historical charts show the snow depths went from 14cm on June 19 to 102cm by June 26. Although not the biggest storm in history, snowmageddon was certainly unique in being such a sizeable June dump – in fact, it was the biggest June snowfall since 1991. Around 60cm fell over these two days which helped drive the Spencers Creek peak base up past the 2 metre mark. At the time, the month of August in 2010 claimed the highest monthly Australian snowfall total for 18 years, over 2 metres in 31 days (Arguably outdone by the aforementioned Blizzard of Oz 3.0). In the first 24 hours of the month some 50cm fell and by August 4, Thredbo was calling it a 1.2 metre storm. This dump is unique in this list for a few reasons, not least the fact it occurred in May. 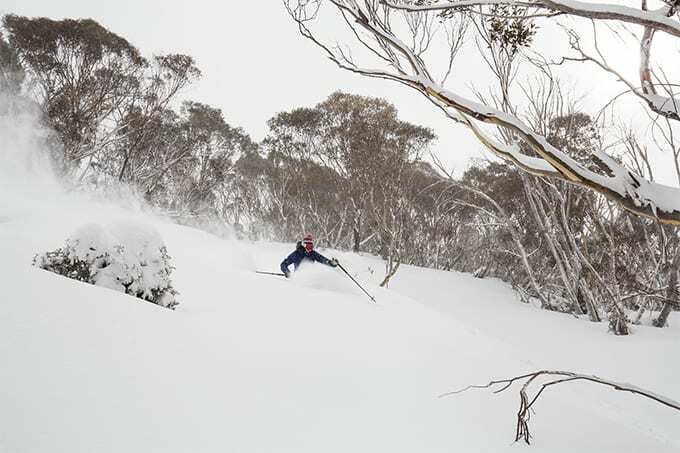 Some 80-100cm fell within a 48-hour period during this event, with around 24cm recorded as coming down at Falls Creek in just 3 hours around midnight – some 8cm per hour. Some might also remember this dump as being one of few that has truly blanketed the Australian Capital. In fact, the Canberra Raiders played the Wests Tigers and a few centimetres settled on the pitch. You can relive that here. A candidate for the biggest fall in a single day, after it rained the entire Monday, snowgoers awoke to find some 70cm had fallen overnight, in the space of around 14 hours. People were allegedly skiing down the streets in Jindabyne. Heading further back now, and 1984 is something of an enigma in Australia’s snow history. Although it can boast a peak depth of 234cm at Spencer’s creek, there was, for all intents and purposes, nothing on the ground until August. The snow depth at Hotham then went from 34cm to 198cm in around two weeks. “It started on Thursday 9thAugust, with around 30cm up until Sunday 12th. Cleared for Tuesday, then closed in and snowed every day from Wednesday 15thto Tuesday 28th.”– Ex Hotham employee in this forum. Access into Hotham’s Snowbird Inn was allegedly through the second storey windows. An honourable mention must be made for the year 1981. While it’s hard to gauge a particular single season-defining storm, Spencer’s creek boasted a peak snow depth on September 1st of 361cm. “I skied the Eyre t-bar in the third weekend of October. In some places, the t-bar ran in a trench that was overhead high.” – Unknown quoted in this forum. Twenty years before the August absurdity as above in 1984, some of the heaviest snow ever seen in Australia fell in the middle of July in 1964. It is said that around 3 metres of snow fell in less than two weeks. Although total accumulation levels are hard to come by, The Spencer’s Creek data alludes to as much, with the biggest measured depth gain on record – 152.7cm over two weeks from July 6 to July 20. The biggest 7-day gain in snow depth on record is 132.8cm and occurred from the 12th June to the 19th in 1956. There’s no data out there on exactly how much fell in this short amount of time, I’d wager a lot. Though, sadly it was this snowfall created the 50m wide slab avalanche that destroyed the Kunama Hutte and took the life of 20 year old Roslyn Wesche in the process. Read about the history of the Kosciusko huts here. Yes folks we’re really throwing it this far back… 118 years ago, the heaviest snowfall that ever occurred outside of the Snowy Mountains reaped nothing short of absolute havoc, to a country not even federated. While there’s little information on how much snow fell in the actual Snowy Mountains during this time – four feet being commonly cited – (I’d hazard a guess to say, a lot), some 50-100 centimetres of snow fell around Bathurst and the Blue Mountains, with lesser amounts further reaching. Pharmacist Henry Cheeseman shovelling snow at the rear of his shop in Bathurst in the year 1900. In the town of Blayney, snow began falling at around 5am and by midday there was 40 centimetres on the ground. By 5pm, 68 centimetres was measured in the main street. So there you have it, whether we’ll see such ‘phenomenal snowstorms’ and 70 odd centimetres of snow in Bathurst this season remains to be seen… I’d be more than happy with 70cm at the resort in as many days though. We can only hope. * Russell, H.C, 1903, ‘Results of Rain, River and Evaporation Observations made in New South Wales during 1900. met, of N.S.W Dept of Instruction.